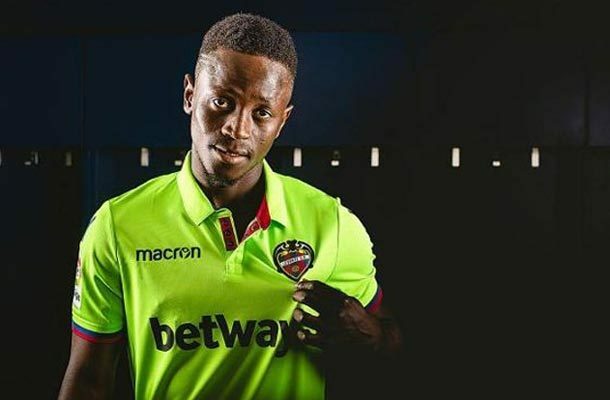 UD Levante forward Emmanuel Boateng is reportedly on the verge of sealing a move to Chinese Super League side Dalian Yifang. The Ghanaian international is expected to arrive in the Asian country on Monday to undergo a mandatory medical test before putting pen to paper. The move is set to reignite Boateng’s career after struggling to establish himself in coach Paco López’s side this season. Ahead of him in the pecking order are other players like José Luis Morales, Roger Martí or Borja Mayoral and Boateng's playing time is practically gone from less to less. But even in his maddening profligacy, Boateng simply brings a workrate, selflessness, and chemistry that would very hard to replace.